Nazi Germany is remembered as a nation of willing fanatics. But beneath the surface, countless ordinary, everyday Germans actively resisted Hitler. Some passed industrial secrets to Allied spies. Some forged passports to help Jews escape the Reich. For others, resistance was as simple as writing a letter denouncing the rigidity of Nazi law. No matter how small the act, the danger was the same--any display of defiance was met with arrest, interrogation, torture, and even death. 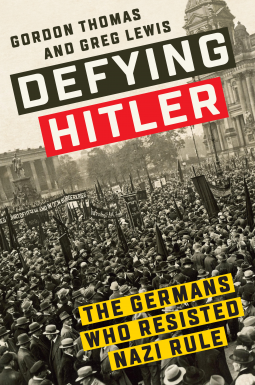 Defying Hitler follows the underground network of Germans who believed standing against the Fuhrer to be more important than their own survival. Their bravery is astonishing--a schoolgirl beheaded by the Gestapo for distributing anti-Nazi fliers; a German American teacher who smuggled military intel to Soviet agents, becoming the only American woman executed by the Nazis; a pacifist philosopher murdered for his role in a plot against Hitler; a young idealist who joined the SS to document their crimes, only to end up, to his horror, an accomplice to the Holocaust. This remarkable account illuminates their struggles, yielding an accessible narrative history with the pace and excitement of a thriller.